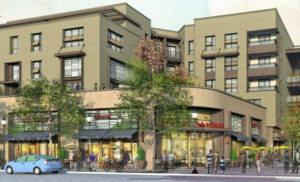 The site of the oldest and largest Ohlone village around the shores of San Francisco Bay is the proposed site of a five-story apartment and retail complex at 1900 4th St. This sacred place lies under the asphalt of Spenger’s Fish Restaurant’s two-acre parking lot in west Berkeley. Two ancient burials have already been disturbed by trenching just across the street at another development over the last seven months. 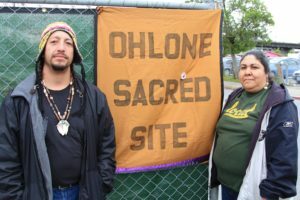 A growing chorus of Ohlone descendants and Berkeley residents are calling for a memorial park, a two-acre green space to honor Ohlone history and culture, both past and present. We need your help! Read more about about it in my previous blog post. Comments are due on the draft Draft Environment Impact (EIR) by March 13 at 5pm. Written comments may be submitted in person, by mail or by e-mail. The mailing address is 1947 Center Street, 2nd Floor, Berkeley, CA 94704. NOTE: The EIR was released on Wednesday, November 16. Click here for sample letter you can use for your comments on the draft EIR. Please be sure to endorse the Alternative “Ohlone Memorial Park Open Space” Proposal. This proposal was presented by Ohlone leader Corrina Gould to the Landmarks Preservation Commission on February 2 and will be released to the public after the Ohlone community can discuss it internally and the proposal concept is developed further. Read about it here. 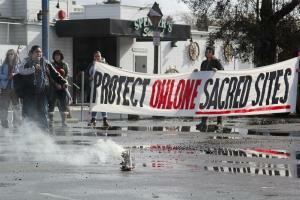 On March 9, Ohlone leader Corrina Gould will make a presentation to Berkeley’s Zoning Adjustments Board (ZAB), which has taken three rounds of public comment already. 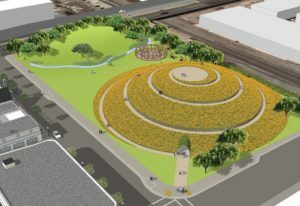 Corrina will present an alternative vision for a memorial open space park on the site. (Concept aerial is below at right.) Supporters are encouraged to attend! It is the ZAB commissioners who will vote either to certify and approve the final EIR later this summer, or they will deny the project. Public Review Timeline: The public review and comment period for the Draft EIR opened November 16 and has been twice extended, now to March 13, 2017. The City must receive written comments regarding the adequacy of the Draft EIR within this time period. Written comments must specifically address the adequacy of the draft EIR and impacts of the project, and may be submitted in person, by mail or by email. The mailing address is 1947 Center Street, 2nd Floor, Berkeley, CA 94704. Email comments to Shannon Allen: ShAllen@ci.berkeley.ca.us. 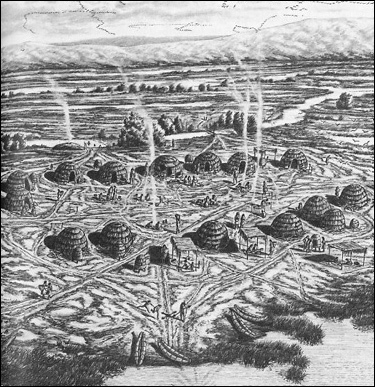 The West Berkeley Shellmound (CA-ALA-307) needs you.